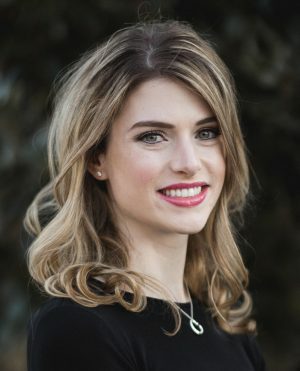 Lauren Alexandra Haley Lauren Alexandra Haley is a violinist, author, and speaker based in Houston, Texas. Haley’s book for parents and teachers of young musicians, Kids Aren’t Lazy: Developing Motivation & Talent Through Music (2018) debuted at the #1 New Releasespot in 10 Amazon categories and became a #1 Bestseller. Haley earned her B.M. in Violin Performance from the..
Lauren Alexandra Haley is a violinist, author, and speaker based in Houston, Texas. Haley’s book for parents and teachers of young musicians, Kids Aren’t Lazy: Developing Motivation & Talent Through Music (2018) debuted at the #1 New Releasespot in 10 Amazon categories and became a #1 Bestseller. Haley earned her B.M. in Violin Performance from the Eastman School of Music, where she studied with Oleh Krysa. Accepted into both the violin and viola performance programs at Eastman, she also studied violin with the late Zvi Zeitlin and viola with Phillip Ying. She was on the Dean’s List and a member of Sigma Alpha Iota. Born in Minnesota, Haley begged for a violin at age 5 after a local performance of Prokofiev’s Peter and the Wolf. Later, in Texas, she studied violin with Andrzej Grabiec and was Concertmaster of Virtuosi of Houston and a founding member of the Virtuosi String Quartet with her cellist brother, Nathaniel. While living in the UK, she studied viola with Levine Andrade, performing and recording professionally in the London Telefilmonic. She was recognized as Farnham Young Musician of the Year and earned her International Baccalaureate Diploma from ACS Egham. Lauren Haley Studios, based in the Sugar Land Art Center & Gallery, enrolls 50 musicians studying violin and viola. In 2015, LHS became affiliated with the Eastman School of Music to facilitate collaborations for LHS students with pianist Evelyn Lam. Lauren Haley performs on a 1750’s violin by Thomas Smith (violinmaker to King George III), two 1930’s François Lotte bows, and a modern viola. She resides with her husband, Jake, and their cavalier, Winston. 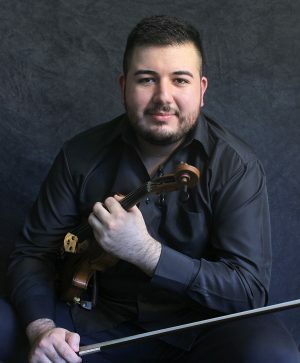 A Houston native, Jose Camacho grew up with music and has been playing violin since the age of 5. His previous professors include Rodica Gonzalez, member of the Houston Symphony, Johnny Chang, principal violinist of Theater Under the Stars Orchestra, and Andrzej Grabiec, world-renowned soloist and conductor. Alumni of Virtuosi of Houston, where he served as principal second for three seasons, Mr. Camacho has been honored to perform in venues all around Europe, Mexico, and the U.S.A. He currently studies at the University of Houston where he is pursuing a Bachelor of Music with elective studies in Music Marketing. Mr. Camacho is in the second violin section of the Houston Civic Symphony and is the orchestra manager of the Texas Medical Center Orchestra. Mr. Camacho credits his success to Virtuosi of Houston and most importantly, to Karen Needham. It was through this organization that he was able to find his love for teaching and learned how to be a well-rounded musician. During his time at Virtuosi of Houston, Mr. Camacho experienced memorable moments and received great support and encouragement from both the staff and maestros. “Virtuosi of Houston helped me understand what it means to play with a high standard of quality and gave me the tools to reach that standard. I was part of a community of extremely motivated, talented, and friendly musicians. My life has been enriched through the teamwork, discipline, and responsibility I have learned in my years in this program”. As a teacher, Mr. Camacho is passionate about developing a love for music within his students and helping each student fulfill their unique musical goals while finding joy in the music making process. He is a firm believer in nurturing the individual characteristics in every student playing and strongly encourages them to find their own “sound”. 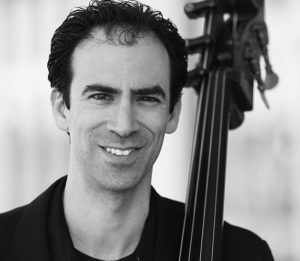 Prior to joining the National Symphony in 2005, Ira Gold performed with several American orchestras, as Section Bass with the Minnesota Orchestra and as guest Principal Bassist with the San Francisco Symphony and Detroit Symphony. He has attended festivals such as Grand Teton Music Festival, Domaine Forget Music Academy, Round Top, Aspen, and Tanglewood. He has presented masterclasses and recitals throughout the United States and abroad, including The Moscow State Conservatory, The Colburn School, University of Southern California, The Juilliard School, Boston University, and the International Society of Bassists Convention, among many others. Mr. Gold maintains a studio of private students, has taught in the National Symphony Orchestra Youth Fellowship program, and has been a Double Bass Faculty member at Peabody Conservatory since 2009. He currently spends his summers teaching at the Boston University Tanglewood Institute, Bass Works at Peabody, and DCBass. Mr. Gold was previously faculty at Catholic University of America, and performed the Vanhal Bass Concerto at Carnegie Hall with the CUA Symphony Orchestra. An active chamber musician, Mr. Gold has performed with East Coast Chamber Orchestra, the NSO Millenium Stage Prelude Series, Peabody Conservatory Faculty, and the New Orchestra of Washington. He earned his Bachelor of Music degree at Boston University’s College of Fine Arts, and his Master of Music degree at Rice University’s Shepherd School of Music, where he won the strings division of the 2005 Concerto Competition. His primary teachers include Edwin Barker and Paul Ellison.